Contains no alloying elements. The proportion of aluminium is 99.3 – 99.9% and the rest is formed by tiny impurities. The combination of material properties, especially superior conductivity makes these alloys suitable for applications mainly in electrical and heat-power industry. Materials of this series are considered non-hardenable alloys and have tensile strengths of 40 – 60 MPa. The alloying element is copper. 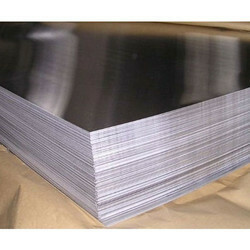 Alloys of this series are high strength alloys. The strength is achieved by the heat treatment process. The tensile strength is about 400 MPa on completion of hardening. 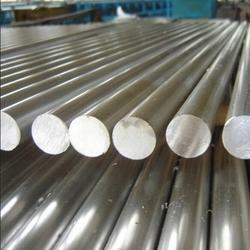 Alloys of this series are considered not suitable for surface treatments and poor for welding. The alloying element is magnesium. Alloys of this series are moderate in strength (200 – 350 MPa). The strength is achieved by the heat treatment processing or forming. Alloys of this series have excellent resistance to corrosion in aggressive atmosphere and seawater. The alloying elements are magnesium and silicon. Alloys of this series are moderate in strength (200 – 350 MPa). The strength is achieved by the heat treatment processing or forming. Alloys of 6xxx series can be easily anodized. The alloying element is zinc. Alloys of this series have the highest strength among all series. The tensile strengths ranging between 450 – 500 MPa may exceed 600 MPa in some cases. These alloys prone to stress corrosion, especially when welded. Alloy 7075 aluminum plates are the outstanding member of the 7xxx series and remains the baseline among the highest strength alloys available. Zinc is the primary alloying element giving it strength comparable to steel. Temper T651 possesses good fatigue strength, fair machinability, resistance welding and corrosion resistance ratings. Alloy 7075 in temper T7x51 has superior stress corrosion resistance and replaces the 2xxx alloy in the most critical applications. It is widely used by the aircraft industry with the typical specifications of ASTM B209, AMS-QQ-A-250/4, as well as many end users requirements. 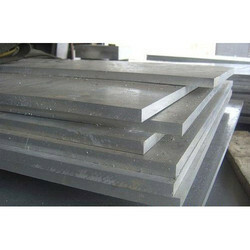 Aluminum Alloy 6061 combines most of the good qualities of aluminum. It possesses high strength, high resistance to corrosion, good workability, and a wide range of mechanical properties. It is the least expensive. Aluminium Alloy 2014 (2014A) is available in Bar, Sheet, Strip, Plate, Wire, Tube, Drawn Tube, Forging Stock and Rivet Stock. For all stock availability of Aluminium 2014 contact Sales. 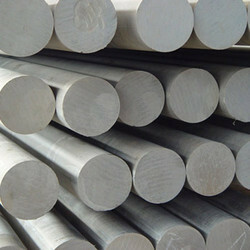 Aluminum alloys are divided into casting alloys and wrought alloys, and are best suited for different applications. 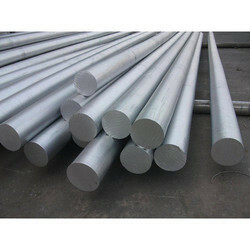 Wrought aluminum alloys, such as the 6061 alloy, are worked by extruding, rolling or forging them into specified shapes. Some alloys can be heat-treated or cold-worked by different methods to increase their strength and hardness, corrosion resistance, ease of fabrication and other advantages. Wrought and cast alloys are first graded by a 4-digit number which identifies their major alloying element. For example, 2XXX includes copper, 4XXX includes silicon, and 6XXX includes magnesium and silicon. The alpha-numeric suffixes attached to alloys, such as 6061-T6, represent the temper, or degree of hardness. They also represent the method by which the hardness was obtained. In the case of 6061-T6 aluminum alloy, the “T6” indicates that it was solution heat-treated and artificially aged. The suffixes may include additional numbers. For instance, -T6511 would indicate that the alloy was solution heat-treated, stress-relieved by stretching, and artificially aged to reduce the possibility of distortion in machined parts. 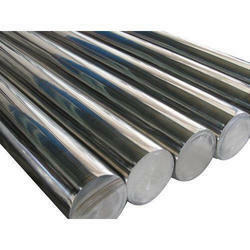 The common grades of commercial 6061 aluminum are 6061-0, 6061-T4, and 6061-T6; however, tempers up to -T9 are produced. At Sapa Extrusions, we produce 6061 aluminum in a wide selection of tempers for use in standard and custom solid and hollow shapes, rod and bar products and seamless and structural pipe and tube, for use in an extensive variety of applications. 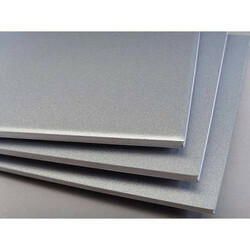 6061-T6 aluminum properties include its structural strength and toughness. It is also offers good finishing characteristics and responds well to anodizing, including clear, clear and color dye, and hardcoat. 6061 aluminum alloy is also easily welded and joined. However, in its –T6 condition the welds may lose some strength, which can be restored by re-heat-treating and artificially aging. Aluminum in its purest form is too soft and reactive to be of structural use. However, its alloys, such as 6061-T6 alloy, make it structurally stronger and more useful in the manufacturing of durable products. 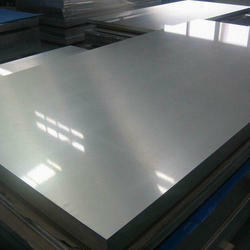 6061-T6 aluminum is commonly used in aircraft construction. Although primarily used in private rather than commercial aircraft, its strength-to-weight ratio is very high, making it ideal for large parts that need to be very light, such as the plane’s fuselage and wings. This light weight also made 6061-T6 aluminum the best choice for the famous gold-anodized plaques that were mounted on board the 1972 Pioneer 10 and 1973 Pioneer 11 spacecraft. 6061-T6 aluminum properties make it a material of choice for builders of boats and watercraft because it’s strong and lightweight. It is ideal for sailboat masts and for hulls of larger yachts that cannot be made from fiberglass. Small, flat-bottom canoes are almost entirely fabricated from 6061-T6, although the bare aluminum is often coated with protective epoxy to improve its resistance to corrosion. 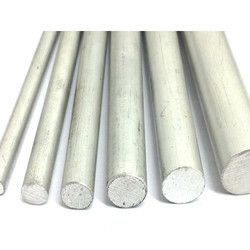 Other common applications of 6061-T6 aluminum include bicycle frames, applications where heat transfer is required, such as heat exchangers, air coolers and heat-sinks, and applications where 6061-T6’s non-corrosive characteristics are important, such as water, air and hydraulic piping and tubing. Aluminum 6061-T6 alloy conducts and dissipates heat well. Since it can be extruded, it can be formed into almost any imaginable shape. With our advanced processing and heat-treating equipment, Sapa has developed an improved machinability 6061 formulation used in the ECON-O-ROD®, ECON-O-HEX®, ACC-U-ROD®, ECON-O-PLATE®, ACC-U-BAR™ and ACC-U-PLATE® products, which conforms to industry specifications. 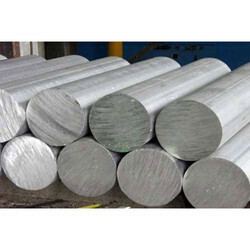 Aluminium alloy 6061 is a medium to high strength heat-treatable alloy with a strength higher than 6005A. It has very good corrosion resistance and very good weldability although reduced strength in the weld zone. It has medium fatigue strength. It has good cold formability in the temper T4, but limited formability in T6 temper. Not suitable for very complex cross sections. 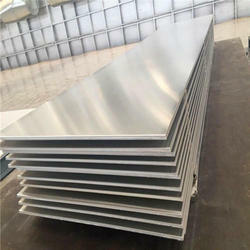 Aluminium Alloy 2014 (2014 A)Aluminium Alloy // BS-L // L93 (AMS 4029) Plate is a copper based alloy with very high strength together with excellent machining characteristics. Alloy 2014 is commonly used in many aerospace structural applications due to its high strength. Other applications include military vehicles, bridges, weapons manufacture and structural applications. 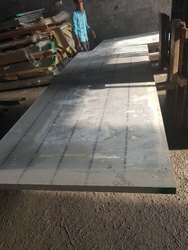 BS L158 Sheet and Strip T4 Temper Close Tolerance. 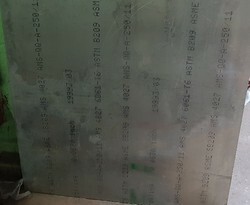 BS L159 Sheet and Strip T6 Temper Close Tolerance. 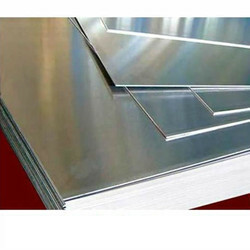 BS L166 Clad Sheet and Strip T4 Temper Close Tolerance. 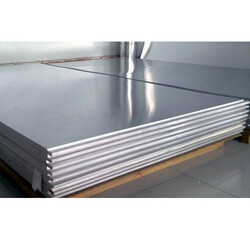 BS L167 Clad Sheet and Strip T6 Temper close Tolerance. BS H15, HS15, HP15, HT15, HE15. Aluminium Alloy 7075 offers the highest strength of the common screw machine alloys. 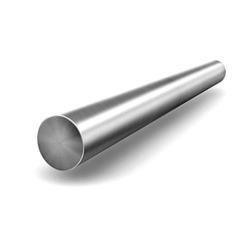 The superior stress corrosion resistance of the T173 and T7351 tempers makes alloy 7075 a logical replacement for 2024, 2014 and 2017 in many of the most critical applications. The T6 and T651 tempers have fair machinability. Alloy 7075 is heavily utilized by the aircraft and ordnance industries because of its superior strength. 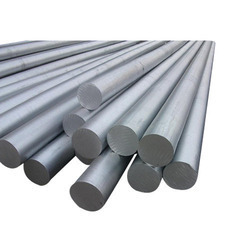 A high strength alloy with, dependent upon temper, minimum Proof Stress up to 56 ksi / 385 Mpa and minimum Tensile Strength up to 70 ksi / 482 MPa. Used in high strength applications where no welding is required. T3510 - Solution heat treated and stress-relieved by stretching. Equivalent to T4 condition. T3511 - Solution heat treated and stress-relieved by stretching. Equivalent to T4 condition. 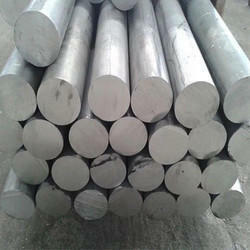 Alloy QQ-A-200/3 is supplied in Bar, Rod, Wire, Tube and Extruded Sections. Typical applications of aluminium alloy 2014 are high strength componenets especially for use in the aerospace and defence industries. 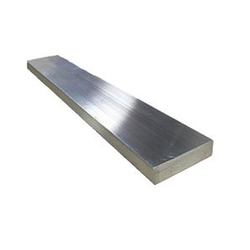 AL-2024 (UNSA902404) is an aerospace aluminum bar with cold finished or extruded aluminum wrought product providing high to moderate strength, very good machinability and weld ability with improved stress corrosion cracking resistance. 2024 is known as the “aircraft alloy” in machining rod. It is one of the most popular alloys for cold heading and roll threading applications. It has high strength and excellent fatigue resistance. It is excellent on parts where good strength –to-weight ratio is needed. Machinability is good in heat treated and annealed condition. Commonly used in aircraft structural components, truck wheels, medical instruments, and screw machine products. We stock 2024-T351, 2024-T3511, and 2024-T4. 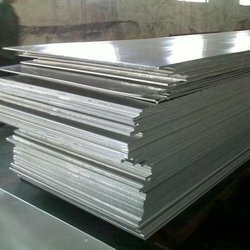 Chandan Steel World are among some of the most trusted names in the industry engaged in stocking and exporting a wide range of Aluminium 24345 Plates. 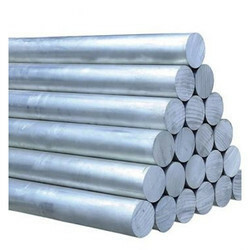 Unalloyed aluminium is highly corrosion resistant, low strength, workable, conductive, Non-heat-treatable. Increase strength, formability, corrosion resistant. Heat-treatable. 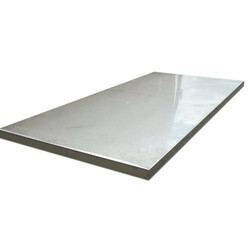 Chandan Steel World is a huge importer and stockist of Aluminium 24345 Plates in india. Aluminium Alloy HE-15 ,2014 (2014 A) is a copper based alloy with very high strength together with excellent machining characteristics. Alloy 2014 is commonly used in many aerospace structural applications due to its high strength. Other applications include military vehicles, bridges, weapons manufacture and structural applications. 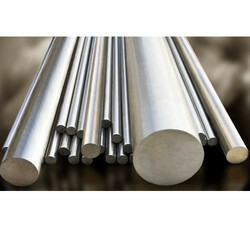 Aluminium alloy 2011 is a high mechanical strength alloy that machines exceptionally well. Often called a Free Machining Alloy or ‘FMA’ it is well suited to use in automatic lathes. Machining at high speeds produces fine chips that are easily removed. The excellent machining characteristics allow the production of complex and detailed parts. In some circumstances 2011 can replace free machining brass without the need for alterations to tooling. It has poor corrosion resistance, which means parts made from 2011 tend to be anodised to provide additional surface protection. When higher levels of corrosion resistance are required, 6262 T9 may be a suitable replacement. Alloy 2011 has extremely poor weldability and thus welding is not recommended. However, as it is used for machined parts there is rarely a need to weld this alloy. Aluminum 2017 is a heat treatable wrought alloy that offers decent strength, ductility, and good machinability. Aluminum 2017 offers more strength than Aluminum 2011, and has fair workability and corrosion resistance. As with many aluminum alloys, Aluminum 2017 should not be welded as it reduces the alloy’s corrosion resistance. Chandan Steel World offers Aluminum 2017 in a variety of shapes and sizes including sheet, plate, wire, tube, rod, and bar. All the Aluminum 2017 Chandan Steel World stocks and sells meets the most exacting standards including those from AMS, ASTM, QQ, SAE, and UNS. To discover if Aluminum 2017 is right for your next project, please contact an aluminum alloy expert at Chandan Steel World today. 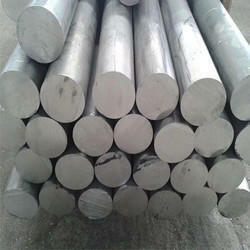 Aluminium Alloy 2618A (Aluminum 2618) is a high strength aluminium alloy which contains both copper and magnesium. Alloy 2618 (2618A) has good machinability and is fair resistance to atmospheric attack. 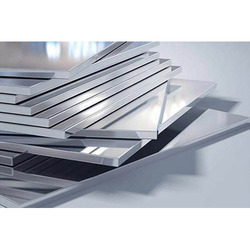 Aluminium Alloy 2618A (Aluminum 2618) is typically used in aerospace and defence components. It is commonly used for pistons and rotating aircraft parts due to it's ability to work in higher temperature applications. 2618 is also used in high performance autosport applications. Aluminium Alloy 2014 (2014 A) is a copper based alloy with very high strength together with excellent machining characteristics. Alloy 2014 is commonly used in many aerospace structural applications due to its high strength. Other applications include military vehicles, bridges, weapons manufacture and structural applications. 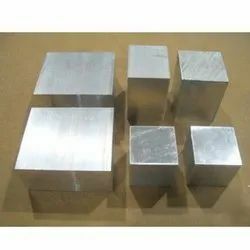 Aluminum Alloy 2024 (2024A) is available in Bar ( Flat, Round, Hexagon, Square), Sheet, Plate, Rod, Shapes and Tube. 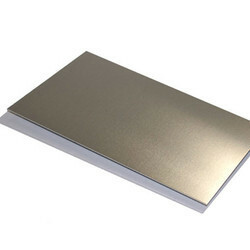 Aluminum 2024A (2024) Foil (Shim) is available in various thicknesses. View stock list for further information. 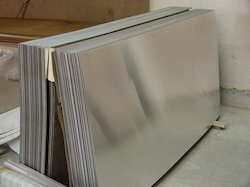 Foil Stock List , Sheet Stock List, Plate Stock List. For all stock availability for Alloy 2024 contact Sales. 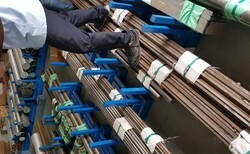 Looking for Aluminium Alloys ?